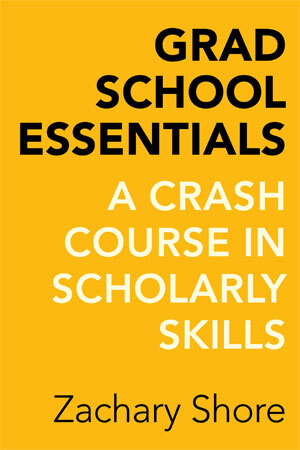 A Crash Course in Scholarly Skills. Berkeley: University of California Press, 2016. The High-Stakes History of Reading Your Rival's Mind. Oxford University Press, 2014. 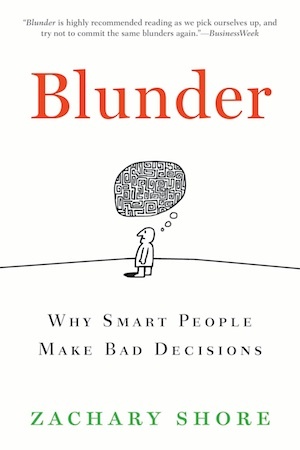 Why Smart People Make Bad Decisions. Bloomsbury, 2008. Translated into Chinese, Korean,Turkish, Romanian, Croatian, and Bahasa Indonesia. Available as an audio book from Audible.com. 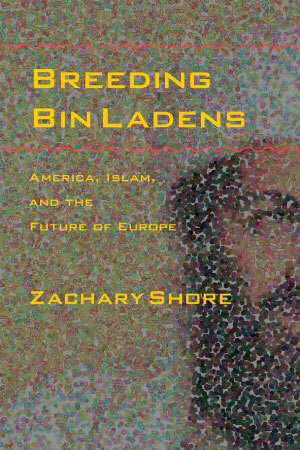 America, Islam, and the Future of Europe. The Johns Hopkins University Press, 2006. Choice magazine Outstanding Title of 2007. 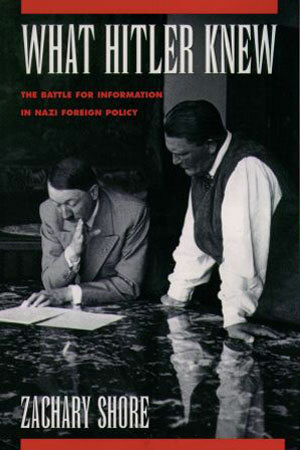 The Battle for Information in Nazi Foreign Policy. Oxford University Press, 2003. Provoking America: Le Duan and the Origins of the Vietnam War, Journal of Cold War Studies, Vol. 17, No. 4, Fall 2015, pp. 86-108. A Sense of the Enemy: Refocusing Prediction in Military and Foreign Affairs, Joint Force Quarterly, April 2012. On High Alert, Review of David C. Unger, The Emergency State: America's Pursuit of Absolute Security at All Costs (New York: Penguin Press, 2012). The San Francisco Chronicle, Sunday March 11, 2012. Yoda in the Pentagon: Andrew Marshall's Lessons for Strategic Planning, Armed Forces Journal, December 2011. A Witness to Hitler's Rise, Review of Erik Larson, In the Garden of Beasts: Love, Terror, and an American Family in Berlin (New York: Crown, 2011). Newsweek – The Daily Beast, May 27, 2011. Europe's Muslim Dilemma and Muslim Europe's Choice, in William Anthony Hay and Harvey Sicherman, eds., Is There Still A West? (Columbia: University of Missouri Press, 2006), pp. 79-112. Can the West Win Muslim Hearts and Minds? Orbis, Summer 2005, pp. 475–90. This article is an expanded version of “Breeding New Bin Ladens: America's New Western Front,” in Watch on the West, published by the Foreign Policy Research Institute's Center for the Study of America and the West, Volume 5, Number 11 (December 2004). Muslim Europe and the Transatlantic Divide Working Paper, American Institute for Contemporary German Studies (AICGS), Washington, DC (2004). Explaining how Europe and the United States could simultaneously narrow the transatlantic divide and combat Islamic extremism by devising long-term integration strategies for Europe's Muslim millions. Uncommon Threats: Germany's Muslims, Transatlantic Relations, and the War on Terror, Policy Report, No. 5, American Institute for Contemporary German Studies, Washington, DC (2003). Three Faces of Realism, Orbis, Vol. 47, No. 2 (Spring 2003), pp. 349–359. Review of John Mearsheimer, The Tragedy of Great Power Politics; Jonathan Haslam, No Virtue Like Necessity: Realist Thought in International Relations Since Machiavelli; and Stanley Michalak, Primer in Power Politics. The Challenge to Certainty, The National Interest, No. 60 (Summer 2000). Arguing that the twentieth century will ultimately be remembered for the range and depth of the philosophical attacks upon previously unshakable beliefs in the sciences and social relations. Hitler's Opening Gambit: Intelligence, Encirclement, and the Decision to Align with Poland. Intelligence & National Security, Vol. 14, No. 3 (Autumn 1999), pp. 111–130. Hitler, Intelligence, and the Decision to Remilitarize the Rhine, Lead article, Journal of Contemporary History, Vol. 34, No. 1 (January 1999), pp. 5–18. The Best Way to Fight White Supremacists: Parody, Los Angeles Times, August 24, 2017. Why We Should Remember Tonkin, Politico, August 3, 2014. Europe's Quiet Integration, International Herald Tribune, Wednesday, November 29, 2006. Europe's Terrorists: Where Next? International Herald Tribune, July 15, 2005. European Disunion, The Baltimore Sun, Wednesday, December 8, 2004. North Korea's Dictator Might Not Be Getting the Message, The Los Angeles Times, Thursday, May 1, 2003. Is This a Pattern-Breaking Moment? February 10, 2015. America's response to casualties may hold lessons for France after Charlie Hebdo. February 2, 2015. Remembering Robin Williams. August 13, 2014. Each side in a conflict thinks it's the victim. August 5, 2014. 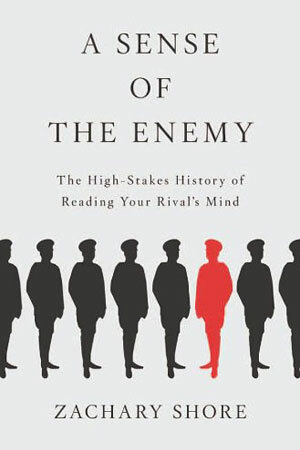 How to know what your enemy is thinking. June 23, 2014. Going with your gut when the stakes are high. June 6, 2014.